Here are the slides from my talk at VIT yesterday. The slides may not make much sense without the actual talk though. View more presentations from Siddhi. 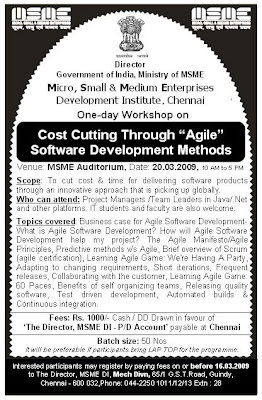 Software Development" on Friday, 20th of March. Click the image on the left for all the details regarding content and registration.